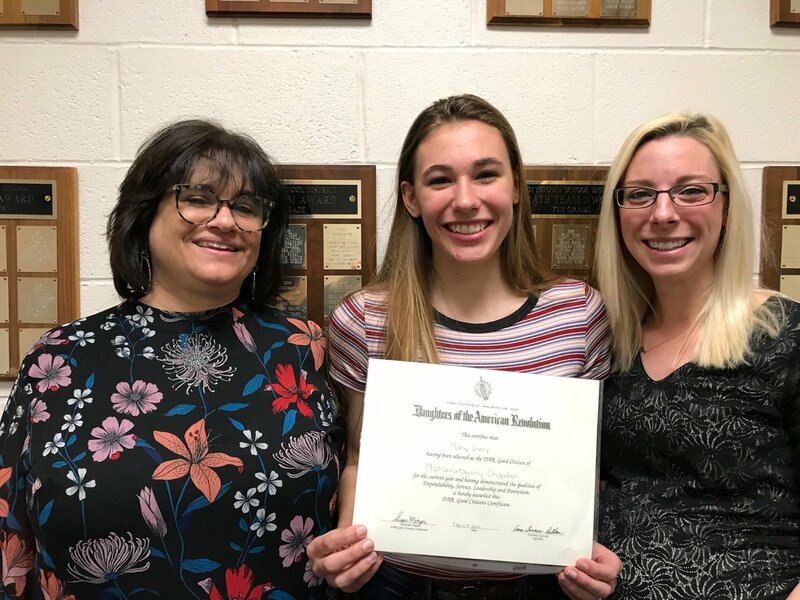 Trojan Proud of PHS Senior Mary Gery for being honored by the Manatawany Chapter of the Daughters of the American Revolution with their Good Citizen Award. This award recognizes students who are dependable, involved in community service, have leadership qualities, and patriotism. Mary is motivated to be successful. She is highly involved with her church and has attended many mission trips. She has been a member of the cross country and softball teams. Mary excels in the classroom and is member of National Honor Society. She is one of the founders of the debate club, and the Senior Class Secretary. Recently she served as Master of Ceremonies for the high school Mr. Pottstown Contest. Mary embodies the qualities of a good citizen and is a role model for future leaders. Next year, Mary will be attending King's College enrolled in the Physician's Assistant and Honor's Programs. Mary, Thanks for giving us another reason to say Proud to be from Pottstown. PS As you can see from the pictures she has a great smile and is not afraid to get dirty giving her all for the Softball Team.